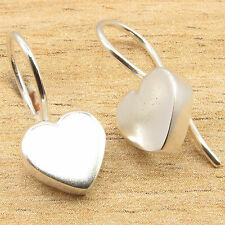 Item Material: 925 Silver Plated. Item Size: 18 mm. I will do my best to solve the problem. Size:(approx) Random in Szie and Shape. Main stone: Green Topaz (Lab-created). Item Type: Handmade Fashion Stud Earrings. Stone Style :Oval Shaped. Stone size: 5 5 mm. DO NOT DUPLICATE OR COPY! Quantity: 1. Main stone: Champagne topaz (natural). Item Type:Dangle Hook Earrings. Stone size: 14 10 mm. Condition: 100% New. Main stone: Mystic Topaz (Lab-created). Gemstone size : 14x10 mm. Type: Fashion Earrings. Earrings length Country/Region of Manufacture: China. Item will keep and leave our storage within 72 hours. Main stone: Morganite (lab-created). Item Type: Handmade Fashion Stud earrings. Stone Style :oval. Stone size: 19 14 mm. DO NOT DUPLICATE OR COPY! Quantity: 1 Pair. Item Type: Handmade Fashion Dangle earrings. Main stone: Blue topaz (lab-created). Stone Style : Water Drop. Stone size: Multi. DO NOT DUPLICATE OR COPY! Quantity: 1. Main stone: Citrine. Stone Color :Olive Green. 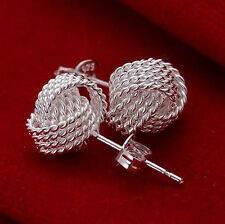 Material: Fashion Silver Plated. Item Type: Handmade Fashion Dangle Earrings. Main stone: Blue Topaz (Lab-created). Stone Style :Oval Shaped. Stone size: 16 10 mm. Item will keep and leave our storage within 72 hours. DO NOT DUPLICATE OR COPY! I will do my best to solve the problem. weight: (approx) 10 grams. I will do my best to solve the problem. Weight:(approx) 6 g.
Main stone: Bi Colored Tourmaline (Lab-created). Stone size: Pendant :16 16 mm ,earrings:10 10mm. Item Type: Handmade Fashion Dangle Earrings Pendant set. Stone Style :Heart. DO NOT DUPLICATE OR COPY! Item Material: 925 Silver Plated. Note: This is only earring findings without any stone. Item Size: 18 mm. Main stone: Garnet. Item Type: Handmade Fashion Stud Earrings. Stone Style : Oval. Stone size: 16 12 mm,5x5mm. DO NOT DUPLICATE OR COPY! Main stone: Bi Colored Tourmaline (Lab-created). Stone size: Pendant :16 16 mm ,earrings:10 10mm. Item Type: Handmade Fashion Dangle Earrings Pendant set. Stone Style :Heart. Quantity: 2 pcs. >Main stone:Abalone Shell (Natural). 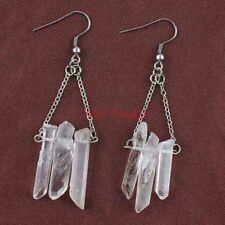 >Style: Woman Fashion Jewlery Silver earrings. Item will keep and leave our storage within 48 hours. DO NOT DUPLICATE OR COPY! >Material: Silver plated.